The Anton Stadler Trio is named in honour of the celebrated Austrian clarinettist, Anton Stadler (1753-1812), to whom Mozart dedicated all his major clarinet works, including the Kegelstatt Trio – possibly the finest work ever written for this instrumental combination. 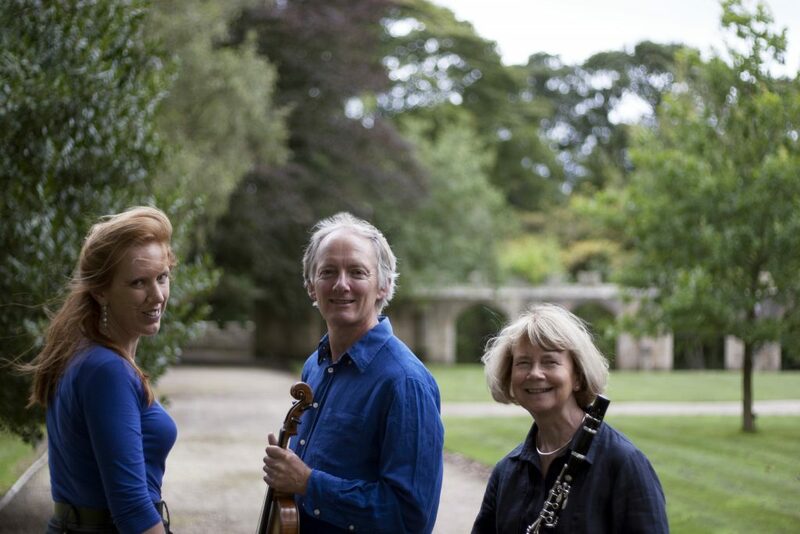 The trio reunites Janet Hilton, one of Britain’s foremost clarinettists, with renowned viola player Robin Ireland, formerly of the world-famous Lindsay String Quartet. The critical acclaim awarded to the Hilton-Lindsay performances and recordings makes this collaboration a natural and exciting development. Virtuoso pianist, Sarah Beth Briggs, completes the trio. A much sought after solo performer in her own right, Sarah is also one of Janet’s long-standing duo partners. The Anton Stadler Trio thus unites two outstanding musical partnerships, showcasing the talents of three exceptional performers in some superb repertoire, ranging from Mozart to the twentieth century. Brahms’ two great sonatas (op. 120) were composed during an ‘Indian summer’ of creativity, for another celebrated clarinettist: Richard Mühlfeld. The arrangements Brahms himself made of the works for viola are also highly compelling and are performed and recorded as regularly as the original versions. Members of the Anton Stadler Trio are renowned soloists in their own right, providing a rare opportunity to compare and contrast these beautiful and subtle scores. Juxtaposed with a couple of Brahms’ late works for solo piano, this ensemble recital also includes Mozart’s Kegelstatt Trio and either Schumann’s Fairy Tales or three of Bruch’s Eight Pieces for Clarinet, Viola and Piano, op. 83. An evening not to be missed for Brahms lovers! 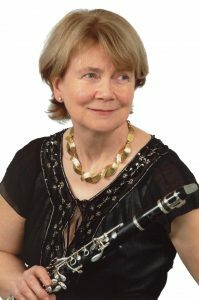 Janet is recognised as one of the leading clarinettists in the UK. She has performed with many of Britain’s finest orchestras, and has also become renowned for her superb chamber music interpretations with such well known ensembles as the Lindsay, Endellion and Chillingirian String Quartets. Her many overseas engagements have included concerts in Holland, Canada and the USA (where she has regularly worked with the Michigan based chamber group, Fontana), a recital tour of the major European Opera houses with Margaret Price, concerts in Italy (at the Incontri in Tierra di Siena festival and with the Alessandro Scarlatti Orchestra in Naples) and work for the Gstaad Festival in Switzerland. In Britain, she has appeared at many festivals, including Aldeburgh, Bath, Cheltenham, City of London, Edinburgh, Harrogate, and the BBC Proms. Robin was a chorister at St Paul’s Cathedral Choir School and went on to read music at Cambridge University. After further study in America, he had a short spell as leader of the Las Palmas Symphony Orchestra. He subsequently became a founder member of the piano quartet, Domus, and since that point, chamber music has formed a major part of his career, and he has become known as one of the UK’s finest chamber musicians. Robin played viola with the renowned Lindsay String Quartet for twenty years, until the group disbanded in July 2005. 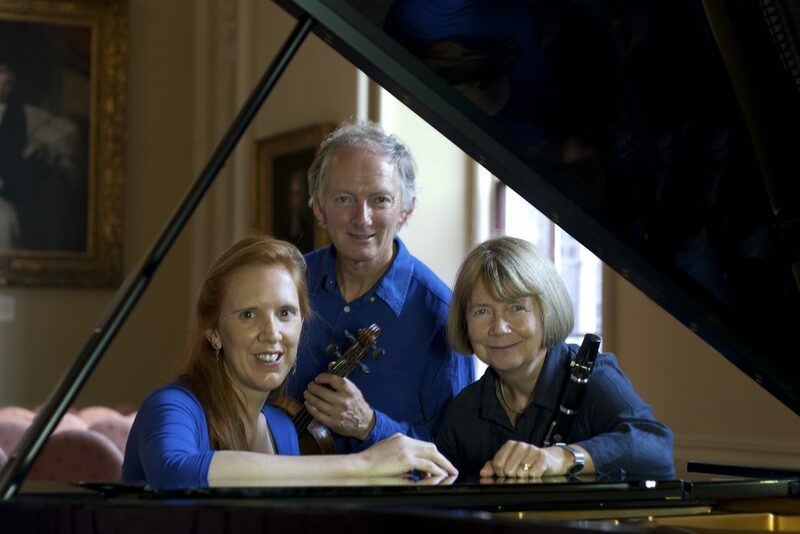 The Lindsays were known throughout the world for their intense and moving performances, and they made over fifty CDs for ASV, covering virtually all the major string quartet repertoire. He was a member of the Primrose Piano Quartet from 2006 – 2014. In addition to his highly successful chamber music ventures, Robin is an exceptional soloist and has appeared with the Royal Liverpool Philharmonic Orchestra and the London Mozart Players. Recently he performed the Walton and Bartok viola concertos and Mozart’s Sinfonia Concertante. He has broadcast on BBC Radio 3 and has given many recitals covering the standard viola and piano repertoire. He also gives performances for unaccompanied viola (often featuring viola transcriptions of Bach’s unaccompanied violin or cello works) and his recording on the Quartz label features this repertoire. He has recorded the Shostakovich Sonata for Viola and Piano and the two Brahms Sonatas for Viola and Piano alongside Schubert’s ‘Arpeggione’ Sonata with Tim Horton on Nimbus. 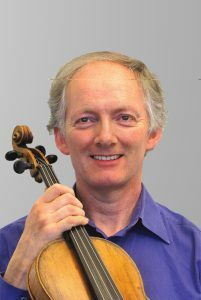 Robin is also a highly respected composer and teacher and is Head of Chamber Music and Senior Viola Tutor at the Birmingham Conservatoire. He plays on an Amati viola made in Cremona in 1630.